From farming to fishing, processing, distribution, restaurants and agritourism, food and agriculture play an important role in Connecticut’s economy. Interest is growing among consumers to connect with regional farmers and producers and communities are trying out new strategies to facilitate this. Attend this webinar to learn more about the various aspects of food systems that overlap with economic development and examples of community and business efforts to build a more connected sustainable food supply chain. Jocelyn Ayer is the Community & Economic Development Director for the Northwest Hills Council of Governments which serves 21 town in CT’s northwest corner. She is currently working with a team to help launch a Food Hub in NWCT in 2017 to support farmers and access to local food. 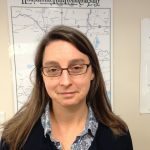 She has a Master’s degree in Regional Planning from the University of Massachusetts Amherst and one of her first jobs was pulling weeds on a farm in Vershire, Vermont. Emily Stengel is the Deputy Director of GreenWave, where she leads and supports programming and operations, overseeing internal operations, implementation of programming, and fundraising strategy and execution. She brings to GreenWave a background in sustainable food systems, working for several years at a B-Corp catering company in NYC dedicated to supporting the regional farm and food economy, and more recently, working on a research team focused on workforce development in agricultural communities. Emily has an MS in Community Development and Applied Economics from the University of Vermont. This is a free webinar co-sponsored by the Connecticut Economic Development Association and UConn. The audience will be economic development organizations, chambers of commerce, planners, community development professionals, and community leaders.